Angelo Mangiarotti designs cross the knowledge of quality of materials and bending technologies for bringing out the most convenient form. The links between the parts, borrowed from experience in prefabrication and architecture, complete the definition of the project. So Loico is created, a programme by cylindrical elements and shelves which fix in their slots and build custom-made libraries with modular dimensions in both height and width. 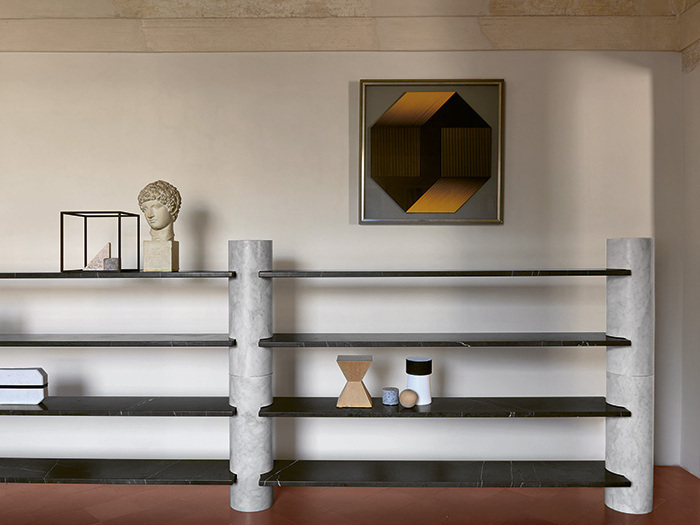 A scheme consisting of cylindrical, stackable weight-bearing elements and shelves which can be slotted in to create modular bookcases in adjustable height and length. 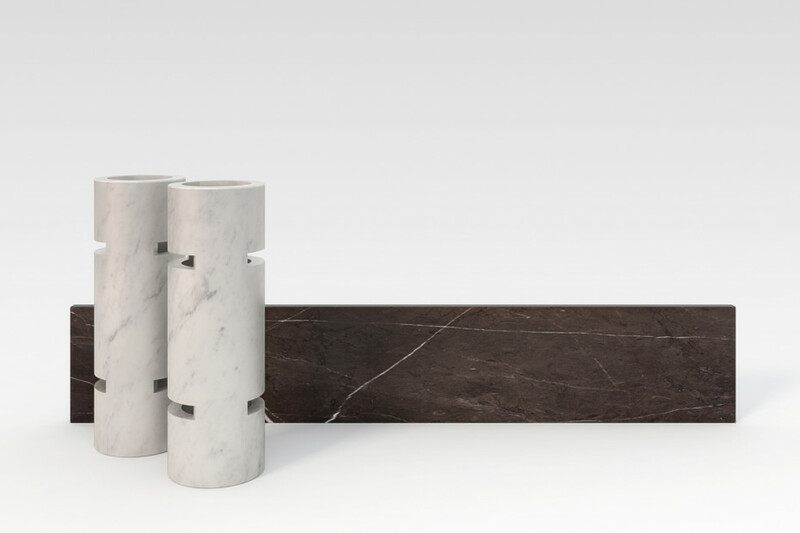 In white Carrara, black Marquinia, grey Carnico, green Alpi and Emperador Dark marble. The shelves are made lighter and stronger with honeycomb aluminium panels painted to match the type of marble used.